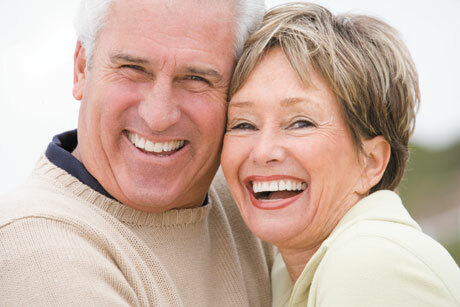 Comprehensive dentistry involves the diagnosis and treatment of general conditions affecting the teeth, gums, and jaw. Quality preventive care is a fundamental part of comprehensive dentistry, because it allows Dr. Miller to detect problems early and create more conservative treatment plans. Keeping up with your oral health is vital to your overall health, and it can significantly reduce the amount of money that will need to be spent on dental treatment later in your life. Our digital intraoral camera enables you to see what we see in your mouth, live on a computer monitor or TV screen. We use this camera to guide you through your diagnosis and treatment options, and keep you fully informed every step of the way. Sometimes we see problems in patients' mouths that aren't causing any immediate pain, so they don't even know about them. The intraoral camera helps us show and explain how seemingly small problems can grow to be bigger and painful (which can also mean expensive). Ask us at your visit to give you a "tour" of your mouth! Things we take for granted with natural teeth — such as talking, smiling, and eating the foods we love — can all become easier again with restorative dentistry. Dr. Miller provides a variety of restorative dental treatments that can give your smile a second chance, from natural-looking dental fillings and porcelain crowns to dentures. Dr. Miller is also certified to restore dental implants, which are an effective way to permanently replace missing teeth or improve the fit, function, and stability of dentures. Composite dental fillings can be bonded, which means adhesively held in place. Compared to the preparation needed for amalgam (silver) fillings, this bonding process makes more conservative preparation possible so more healthy tooth structure can be saved. Composite fillings are tooth-colored, as well, so final restorations are virtually undetectable to the eye in addition to being natural feeling in the mouth! A dental implant is a small, titanium artificial tooth root that can be placed in the upper or lower jaw to serve as a replacement for the root portion of a missing tooth. Thanks to the biocompatible properties of titanium, a dental implant fuses with the bone to become a solid anchor for the replacement tooth that goes on top. Dr. Miller is certified to design and place the replacement tooth to give you back your smile! Whether your smile just needs a little boost or you’re ready for a complete smile makeover, Dr. Miller can help. An attractive smile can raise your self-esteem, improve your personal and professional life, and help you make better first impressions. Now that’s something to smile about! Porcelain veneers are thin, custom-made casings applied to the front side of teeth to correct chips, misshapen teeth, and discoloration. For those who have never felt happy or confident about their smiles, veneers offer the chance to get a smile that before was only a dream! After you and Dr. Miller settle on the smile makeover look you want, he will send a model to a dental lab where a technician will make the actual veneers. When the veneers are ready to be placed, a small amount of tooth enamel typically needs to be removed to fit the veneers onto the teeth. For this reason, veneers are often an irreversible treatment and it’s important to be prepared for a permanent improvement in the look of your smile! If you want to get straight teeth but don’t want to spend 2-3 years in metal braces, contact us today about Invisalign®! This system gradually repositions teeth using a series of clear and comfortable aligners that are changed approximately every two weeks. You can even take them out while you brush your teeth and eat. Invisible braces give you the noticeable results you want without those noticeable bars and brackets — in fact, most people won’t even notice you’re wearing braces! The American Academy of Periodontology estimates that roughly 50% of adults have some form of gum disease, ranging from gingivitis to serious periodontal disease. The prevalence of gum disease increases with age as teeth wear down, gums naturally recede, and medications affect oral changes. If your gums feel tender or look red and swollen, you may be at risk for gum disease. Other signs are bleeding and/or receding gums, sensitive teeth, and persistent bad breath. Left untreated, gum disease can lead to tooth loss and more serious health problems, including heart attack and stroke. A healthy body needs healthy gums! Gum disease used to require oral surgery more often than not. While surgery is still the best option sometimes, many cases can now be treated with less invasive techniques first, such as deep cleanings, local antibiotics, and medicated rinses. Oral cancer is one of the most curable types of cancer if it’s caught early enough. We perform routine oral cancer screenings to detect lesions before they produce any pain or symptoms. Panoramic x-rays also aid in the detection of oral cancer by showing Dr. Miller possible tumors and other problems associated with the jaw.